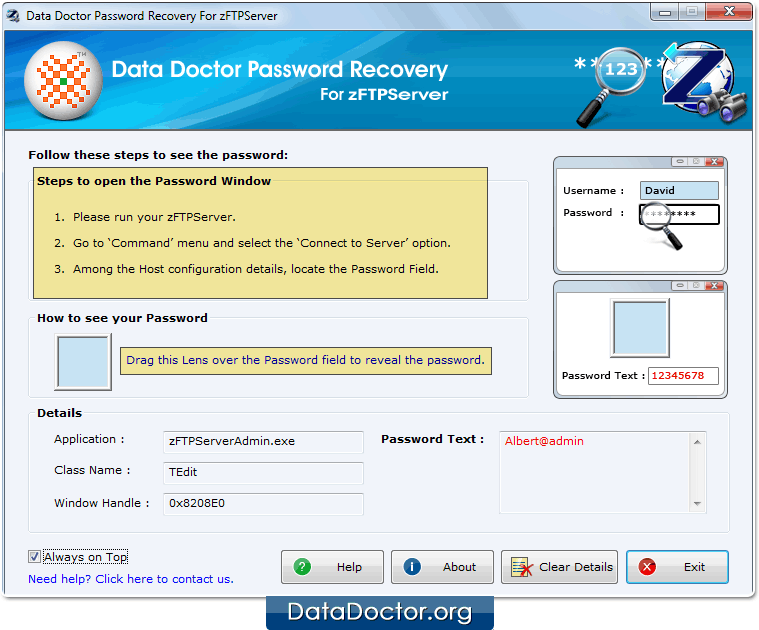 Password Recovery For zFTPServer decrypt and recover lost password from zFTPServer software. 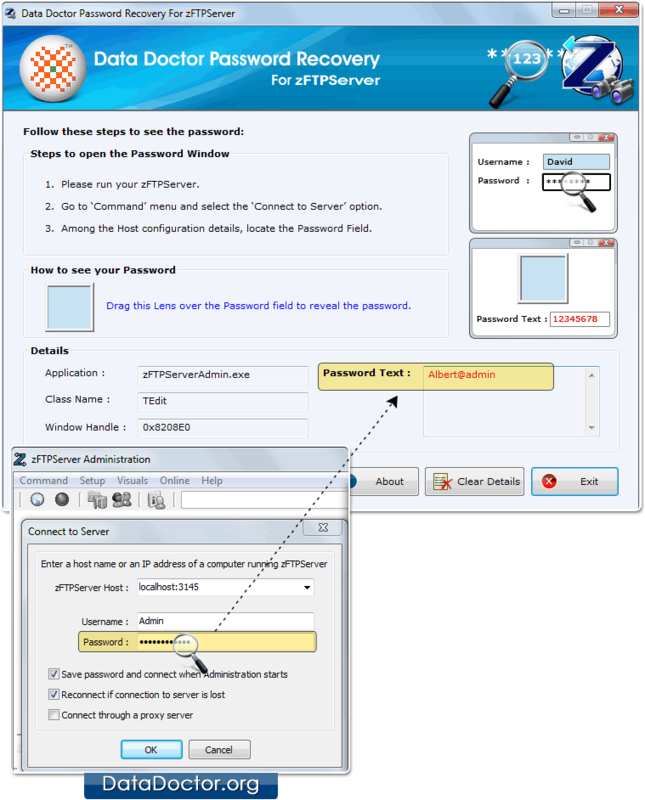 Software also recover lost password even with special characters.Password recovery tool displays hidden asterisk (***) character and special character passwords. Go to ‘Command’ Menu to select ‘Connect to server’ option.